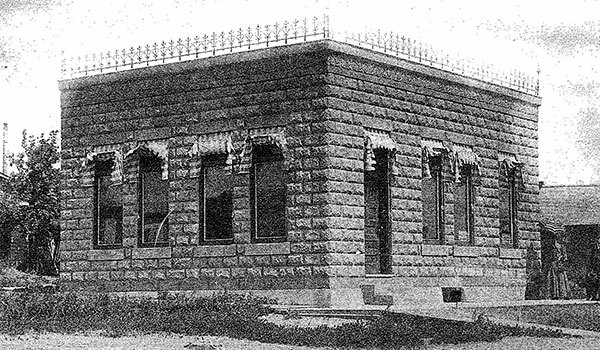 This concrete block building in Melita was built for lawyer John Crerar and he occupied it in July 1904. He took Frank G. Barrett into partnership in July 1926 and, after Crerar retired in January 1928, Barrett practiced alone until closing in May 1934, although Crerar retained ownership of the building. His estate sold it to lawyer David W. Yuill in 1938, who took his daughter Winnifred Yuill into partnership in July 1940. They practiced as Yuill & Yuill until Mr. Yuill died in 1970. Ms. Yuill sold the building to lawyer Morris H. Smeltz in July 1974 who renovated the entire building, except for the vault, and moved into it in November 1974. Four years later, wood frame additions were made on two sides of the original structure. In May 1979, Smeltz employed articling student Richard A. Holmes and, when Holmes was called to the Manitoba Bar in June 1980, they practiced together as Smeltz & Holmes. Holmes bought the building and practice from Smeltz in December 1981 although he retained the original name for a time, later operating under his name alone. 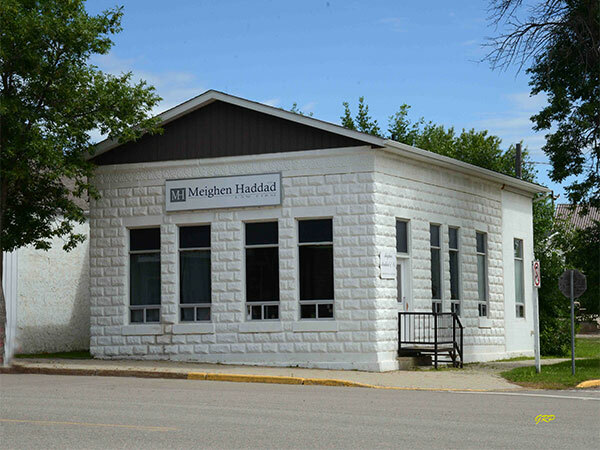 In July 1999, he sold the practice to the Brandon-based law firm Meighen Haddad LLP. Source: Our First Century: Town of Melita and Municipality of Arthur by Melita-Arthur History Committee, 1983, page 375. Our First Century: Town of Melita and Municipality of Arthur by Melita-Arthur History Committee, 1983, pages 374-375. We thank Karen Beauchamp for providing additional information used here.